We are in a new and deeply troubling world, where pundits, writers, philosophers, social scientists, and spiritual leaders are churning out endless opinion pieces about how we got here. We’ve all been consuming these opinions, and that’s a natural response. But I don’t know if it’s helping us regulate and ground ourselves. I don’t have an opinion piece yet; it’s too early. I want to focus instead on the current emotional atmosphere, and on what you can do to keep yourself functional in the months and years ahead of us. Here in America, I’m seeing intense multiple emotions, both before our presidential election and after it. I’m seeing this intensity on the left, on the right, and in the middle, and I’m concerned. As you know, it takes skill to work with intense emotions — not because the emotions are dangerous in themselves, but because our training has been so poor. For instance, panic is a lifesaving emotion, literally. Panic will help you fight, flee, or freeze when you’re in real danger, and it will save your life. Panic brings intense and powerful amounts of energy to you, because you need that much energy when your life is endangered. However, after the danger has passed and you’ve survived (hooray! ), you’ll need to do a lot of self-soothing, movement, shaking, down-regulating, and self-care to bring yourself back to a grounded and focused place. But how many of us have been taught how to do that? How many of us know what to do after we’ve been overtaken by the intense power inside panic? Not too many, and sadly, many of us who are trauma survivors — panic-strengthened living legends — spend our lives in despair, flashbacks, and pain, simply because we haven’t been helped to regulate ourselves back to a comfortable place. So for many of us, intense emotions feel overwhelming and damaging, simply because we don’t know how to work with them. But of course, this isn’t the fault of suffering people. As I wrote in The Language of Emotions, we’ve had centuries of emotion-denying and emotion-trashing education. Therefore, it’s pretty common to be confused or bowled over by emotions, since almost no one knows how to work with intense emotions without overwhelming themselves or other people. But you can learn brilliant new ways to work with your emotions. With simple practices such as Grounding, Focusing, Setting Boundaries, and Burning Contracts, you can learn to work with every emotion you have — no matter how subtle or intense it is. Emotions are a vital part of your intelligence, and learning how to work with them can improve every area of your life. Emotional skills can also bring you the resilience you need to persevere and keep your focus during difficult and frightening times. In the days, weeks, months, and years ahead, make yourself a top priority so that you can be rested, grounded, focused, and available for whatever your emotions have to tell you, and whatever people need. Care for yourself; it’s really the defining feature of successful people who can continue to work for civil rights, human rights, love, and justice for decades on end. An issue I see right now is that people aren’t simply feeling intense emotions; they’re also feeling many different intense emotions at once, and are becoming overwhelmed. People aren’t just feeling panic; they’re also feeling rage, grief, hatred, depression, anxiety … the list goes on. If people don’t know how to ground and soothe themselves — and if they don’t have a clear practice for each emotion — then they may be destabilized and battered by their own emotions. It’s sad to see. It’s also unnecessary, because emotions simply bring you the energy and information you need to deal with problems. In our current political situation, multiple emotions are necessary because we’re dealing with multiple and very complex problems. It’s normal for emotions to arise in pairs, groups, or clusters, but we have very few words to describe this natural process. I wrote a post about multiple emotions that might be helpful. All of these intense emotions are necessary, and in this situation, your emotional skills have just moved up to number one in your list of important skills! You can learn the language of your emotions. They’ve been speaking to you your entire life, and learning how to hear them will help you learn how to function and how to thrive. My books The Language of Emotions and The Art of Empathy are all about listening to your emotions, working with them, and becoming very skilled at Emotion Regulation. With Emotion Regulation skills, you can withstand almost anything. Without them, you’ll suffer more than you need to. You don’t need to suffer. 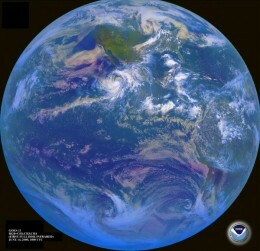 We have a lot of work ahead of us, and our emotional and physical wellness are required. As we move ahead in this new world, we all need to be at the top of our game. Taking care of yourself can be difficult even in normal times; people generally put themselves last. Yet in intense times like these, you actually can’t afford to put your self-care aside. You need to double your self-care, as Dynamic Emotional Integration® Trainer and Consultant Marion Langford says. That means making intentional time for yourself, and making sure to spend time doing things you like. Read a favorite book a few pages at a time during your work day. Go outside and take a short walk. Ground yourself by breathing in deeply, and letting your breath out with a sigh as you imagine your breath traveling downward and into the ground. Play with animals and kids. Laze around on the sofa for 5 minutes and do nothing. Look at something really beautiful. Be with your family if they’re nourishing to you. Take care of yourself, soothe yourself, ground yourself, reach out to the nourishing people in your life … all of these things are necessary in difficult times. And know this: There is enough time for every important thing. Make your self care an important thing. No matter what is going on around you, you have a choice about whether or not you allow people to manipulate your emotions. You have a choice about whether you join in with other people’s ideas, opinions, emotions, and attitudes. And you have a choice about how you see the world. In times of trouble, people tend to cluster together for protection. But if your particular group requires you to feel and display intense and unregulated emotions (or to hate others), they can create more trouble than they’re worth. If your group is helping you feel deeply, understand yourself, and regulate your emotions, that’s great. But if they’re filling you with intense emotions that you can’t manage, that’s not workable. You have a choice. And making this choice is one of the key features of healthy Emotion Regulation. It’s important to control your emotions, emotions control many aspects of your life, it can affect the mood you have and how you interact with others, or how stressed you’re and your level of productivity in life, emotions can even have health consequences, too much stressed can make you sick, and even is related with the hair lost, and if you lose your hair you will have to attempt a regrow hair protocol, so that’s why is so important to control your emotions to be a healthy and happy person. Your emotional life belongs to you, and you can choose to be with people who respect you and your emotional autonomy. Making choices about what works for you is an important part of of self-care. In support of your self-care, I’ve been posting about emotions and empathy on my YouTube channel, and I’ve created a dedicated weekly video for each of the seventeen emotions (one per week). It’s been lovely to revisit each of these wonderful forms of intelligence and focus on them as individuals. If you need support with any or all of your emotions, there’s a video to help you understand why your emotions arise, what intelligence they bring you, and how to work with each of them. I’m also posting another video series on my Six Essential Aspects of Empathy model, and it’s been fun to focus on each one in regard to healthy, intentional, and sustainable empathy. Your emotions and your empathic skills are a critical part of your intelligence. Learn their language, and you’ll become more aware, more capable, more comfortable, and more effective in every area of your life. Emotion Regulation Across the World! 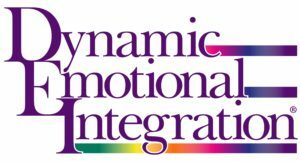 I want to remind you that we now have licensed Dynamic Emotional Integration® Trainers and Consultants in the U.S., Canada, Denmark, and Dubai (learn about all of them here). They can help you learn how to work with your emotions, ground yourself, and keep yourself well. Also, you can learn about emotions online! My Empathy Academy co-instructors Amanda Ball and Sherry Olander are teaching an Emotional Genius online course in January, and again in May. This is indeed an intense time full of trouble. The work ahead — this empathic activism work — requires first and foremost that you are stable, grounded, and emotionally well-regulated. When you are stable, grounded, and well-regulated, you can access your strength, your sense of humor, your empathy, the genius inside your emotions, and your greatest visions for the future. We will need all of this and more as we engage with the troubles of this world. Take your self-care seriously. We need you to be well and able to respond in ways that don’t hurt you or anyone else. Onward and forward, dear friends. The empathic activism movement has begun. *Media: I got rid of cable TV in the spring because it was bad for my peace of mind, and now I hardly listen to radio news either, mainstream or alternative. I’m tired of people who talk for a living!! Emotional/social climate: I feel there’s a lot of emotional aggression out in society, and that is a major reason I spend a lot of time alone; I have no use for that. Also, I feel there is a lot of two things on opposite sides of the spectrum: coldness and forced “upbeatness”. I’ve noticed people, let’s say my neighbors in my apartment complex, are inconsistent in that one day they might smile or say hello and the next time won’t acknowledge me. Also I see a lot of forced upbeatness, often in consumer/business situations, but again it’s inconsistent like at a coffeehouse I go to the owners (a couple) are either over the top friendly or barely acknowledge me. As for the upbeatness phenomenon, I can’t tolerate it whether it’s genuine or fake, that’s simply my bias. I feel that there is an intolerance of sadness, and people overcompensate by forcing upbeatness (especially during the Holidays). I know that in “Emotional Genius” Karla says the two most despised emotions in this culture are fear and anger; I agree with fear, but I’d have to say sadness is more despised than anger. I think there is a lot of anger that is displayed by people trying to hide “soft” emotions like fear, sadness, shame. Typically men do that a lot, but I think women do it more often nowadays. I’m also seeing a lot of grief impairment, and yes, sadness isn’t being welcomed in. And boy is it needed! And yeah, I’m seeing women doing a lot of anger over the top of their other emotions, and running away from sadness. Oof. Grief and sadness are really important right now; they’ll bring the waters we need to travel into the new world and keep ourselves resilient. Re: Grief impairment, or “upbeatness” as an over-compensation for covering up grief: I’ve been to several churches over the past year and a half: the Protestant church I used to attend, a Presbyterian church, Unitarian, Unity Church, Church of Religious Science, and the forced upbeatness is very noticeable at almost all these churches. Certainly some churchgoers are naturally upbeat, but they can’t all be. I wonder especially at the Christian churches, do some people feel God won’t love them if they’re sad? Or are churchgoers just worried about being rejected by others in their congregations for being sad? I’ve had the unfortunate label of “depression” for decades, and I know that traditionally Christians were taught that depression is a sin. Maybe that belief amongst Christians is not as cut and dry now, but I don’t think Christians (or other churches) are enlightened about depression and the fact that most depression sufferers are survivors of trauma. I agree that sadness isn’t welcome in a lot of places, but how sad(!) that it isn’t welcome at church! I thought church was a place that people could bring their deep sorrows. Bonjour Karla, Il y a une régulation constante entre les émotions et les neurotransmetteurs dans le cerveau.Est-ce que l’absence de ces neurotransmetteurs empêcherait certaines personnes d’avoir de belles émotions durables et être heureux? Je m’excuse de ne pas parler Français. Yes, the absence of certain neurotransmitters can make emotions more difficult to regulate. So can an overabundance of neurotransmitters. However, alongside medication and therapy, mindfulness practices can help people learn to regulate their emotions even in the presence of imbalance.